About the Author: This is me, a full time mom and part time novelist. Lover of rock music, science, space and the vast unknown that awaits us in the universe. I have a wonderful husband and two beautiful children who support me immensely. I live in rural Missouri near a town no one has ever heard of, unless you’re studying to be an engineer and love to drink on St. Pats, then you know where Rolla is. Actually I think the college once held the record for most alcohol consumed in one evening. My favorite author and book series has to be Orson Scott Card and the Ender Wiggins Saga. Second favorite is Gregory Maguire and Wicked, awesome writing. Science fictionhas been a love of mine for some time, almost as long as my love of reading. 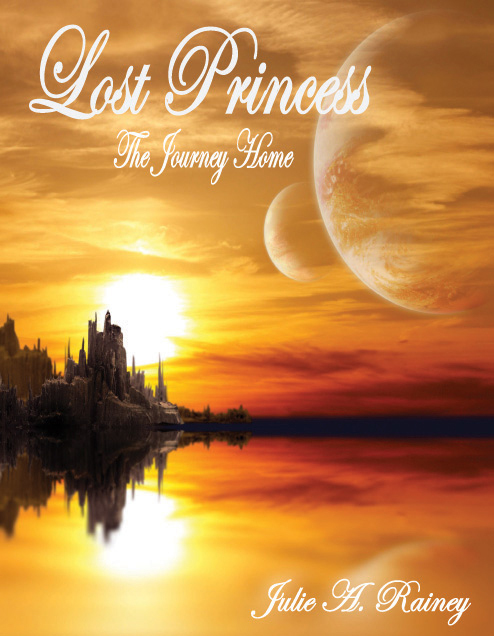 This entry was posted in Saturday Author Spotlight, Weekly memes and tagged author bio, biography, indie author spotlight, julie rainey, lost princess, saturday feature, synopsis, the journey home, weekly meme. Bookmark the permalink. ← Thank you for supporting Indie Author Month!